When Charlie Haden died a few weeks ago at the age of 76, the jazz world lost one the most influential bassists in its history. Add to that one of its most versatile, most melodic players, a bassist with a big, resonant sound that provided not just the bottom of every musical context of which it was part but perhaps its very heart and soul. Haden was a singer, whose voice was his bass. Earlier, he had been a singer whose voice was, well, his voice. Having contracted polio when he was a teenager, a disease that damaged his vocal cords, he took up the bass. Born into a musical family in Shenandoah, Iowa, Charlie was only two years old when his mother heard him singing harmony to what she was singing. It was at that moment that she realized little Charlie was ready to join the family business: the group called the Haden Family, which was prominent on the Midwestern country music circuit and on the radio during the ’30s and ’40s. What connects the yodeling toddler “Cowboy Charlie” with the adventuresome, avant-garde bassist alongside Ornette Coleman was, of course, Haden’s musicality, a quality he brought to country music, Coleman’s music, and everything in between. Haden’s first exposure to jazz came one night in Omaha when he saw a Jazz at the Philharmonic concert that presented Charlie Parker. Soon after that, he moved to Los Angeles, connecting with pianists Hampton Hawes and Paul Bley, alto saxophonist Art Pepper and, eventually, Ornette Coleman. Throughout his long career, Charlie Haden led a number of groups. His Liberation Music Orchestra was a big band that featured compositions and arrangements by pianist Carla Bley, a repertoire that included both avant-garde jazz and Latin American folk music. His group Quartet West exemplified Haden’s affection for more straightahead jazz, music that was romantic and nostalgic, drawing from the sound tracks of old Hollywood films. In 1997, Haden won his first Grammy for a duo album called “Beyond the Missouri Sky,” which he recorded with Pat Metheny. 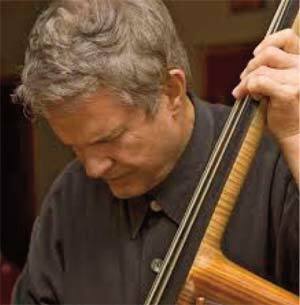 It was post-polio syndrome that took Charlie Haden’s life on July 11, 2014.